If you haven’t contracted a case of snow fever yet, check your pulse: ski + snowboard season is fast-approaching. The fever for snow is highly contagious and definitely running rampant. Lucky for you, Sierra-at-Tahoe is prescribed by experts to treat such ailments. We’re just as excited as you to get on the mountain for another snow-tacular season! When the first winter storms decide to roll over the Crest of the Sierra Nevada, rest assured that we’ll be ready to take advantage of every flake that falls. “We’re awaiting the snow with baited breath,” says Mountain Ops Director Paul Beran. “If we could put in a request to Mother Nature, we’d get some rain first to freeze the ground. From there, some wet snow storms would be great because they create an insulating layer between the ground and the sliding surface.” Top that off with some fluffy goodness and you have yourself a yummy snow sandwich (gluten free of course!). Yep, you heard right. We groom our main runs in the off-season. This involves mowing the shrubbery, stumps, and other pokies down so we can open those pristine groomers as soon as the snow starts falling. Our Groomicorns love the taste of shrubbery and it aids in growing a thick coat for their winter grooming operations. But not the lift lines you’re used to. We’re talking about the cables that carry you on that magical couch in the sky. 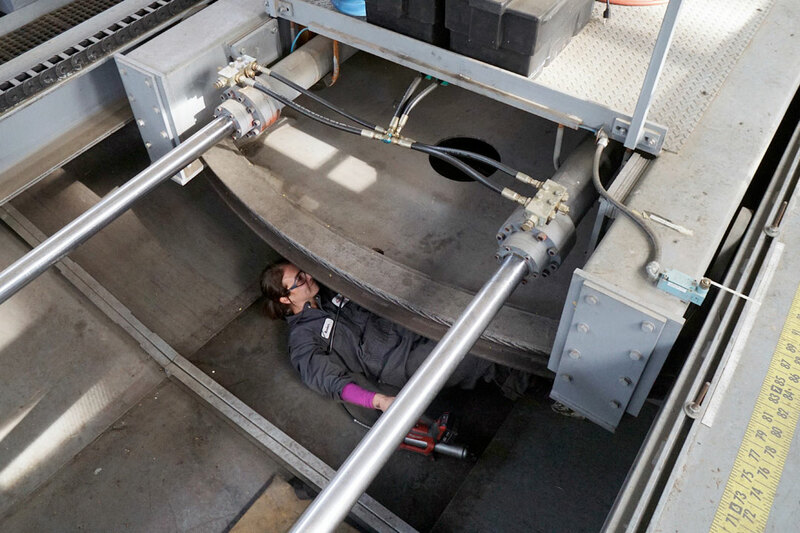 Well-greased sheaves and bull wheels ensure the safety and functionality of our lifts. Lift crews also installed a brand-spankin’ new gearbox on Easy Rider Express. That means the lift is set to run smoothly for the next 20 years! That's sure to lift your spirits. The fleet of snowcats at Sierra is the heart of our grooming and park operations. Maintenance crews have been meticulously inspecting hydraulic lines, installing new wear parts, and making sure each cat’s engine purrs! And just like adopting real kitties, we couldn't help but add some new additions to the fleet for the coming season (Stay tuned!). Our snow plows are also getting prepped to handle the toughest of storms. These beasts help you get up to the mountain safely and keep you cruising fresh corduroy all season long! Our efforts to prepare the mountain culminate to the #1 goal of getting YOU shredding as soon as possible. 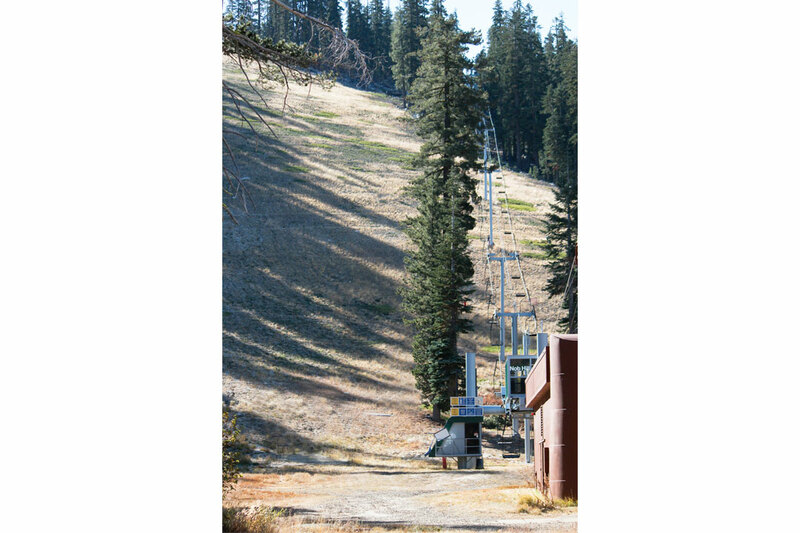 We haven’t quite set an opening date yet, but don't stress - Sierra has historically opened between fall and spring . It’s all up to Mother Nature to deliver that sweet, GMO-free snow! An alternative way to alleviate snow fever is to join us for the premier of Warren Miller's "Face of Winter" at Harrah's Lake Tahoe later this month! For details on this showing, hand-tailored for snow-minded people like you, click here . Until then, do your snow dance, keep your eyes peeled for an opening day, and send some good vibes to everyone prepping the mountain for the season!